Mummy, Wife and Chaos: "Restlessly Eager"
Firstly I want to thank those who read the blog for such lovely comments on my working mum post. I enjoyed tapping it up and it felt great to reignite my passion for writing, whilst getting support and not feeling alone. It's got me thinking (dangerous I know-s'pesh this time in the morning - delayed train 6.30am) the blog had been neglected really, especially since my love for instagram has taken over. I find instagram such an easy way of sharing my love of fashion and I can also filter the f*** out of myself when I look as knackered as I feel. So its a Win-Win. -note- I do occasionally be brave and #nofilter these are good days! I digress..... so I've decided to utilise the blog more (I know, light bulb moment or what) as my outlet of being mum. I shall still post fashion druel worthy posts occasionally, but I'm calling this my "getting organised" stage. A place where I shall ramble something that can make some ounce of sense perhaps and maybe others can relate. Hell maybe it will help me relate with me. If I'm honest I still as a mother of three and wife of one have no idea where I'm heading with life-personally. I realise now that this is because my one wish and aim was to have a beautiful family of 5. So I have what I've always wanted, so where does that leave me. Ermmm no idea (See I'm at the ermmm time of day again). I'm now at the stage of getting lost in my mind that I may actually read one of my mothers "inspirational and enlightening books", I do wonder if even those can reach out to me though. Bridget jones was the last book I read and I know for sure I can relate to her. Especially with knicker situations. Getting dressed in the dark has reached new levels and inside out, back to front knickers has been my most recent issue. I knew something wasn't quite right. I'm interested to know, am I alone in feeling a little lost on oneself? I'm seriously hoping that someone has my back on this. Perhaps I will start on one of those books after all. See how much more confusion I can create within my coffee soaked brain. I'll leave you with my back to front, inside out knicker thoughts and the laughable issue that someone stole my Costa coffee (hope you liked soya!). Oh and I cut my hair. With my broken finger. No it didn't go well. Yes it's too short. Yes I feel a wally and actually quite butch. 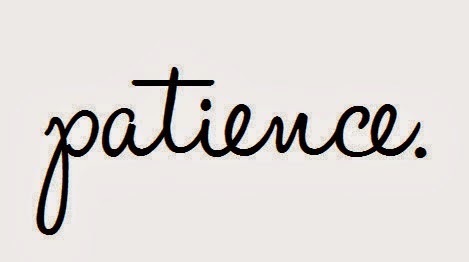 And yes I'm impatient. (I actually looked that up and it's correct meaning is restlessly eager. That just about sums me up right now. Defo more fashion coming! Next post will be fashion promise! Thankyou for that comment and you're right honesty is good to have. Hopefully I can help stop the rocking! I've been there, it gets easier!